When you invest in new software, you know that your staff will need training to get the best from the system. Most suppliers offer expert trainers who will train your employees at your business premises. Face-to-face training is valuable: your staff are fully engaged in the training, they can question the trainer and get one-to-one support with any difficulties. However it can be hard to organise, especially if you have more than one site. As well as getting the relevant staff together, you have to find an appropriate training room, and arrange other staff to cover for them, which can be disruptive. Given this, it is not surprising that many companies are using an approach called ‘blended learning’ which supplements face-to-face learning with e-learning. UK headquartered KCS already provides software to 1,700 customers worldwide, offering end to end ERP solutions including Supply Chain Management, Order to Cash, Financial Management, CRM, Warehouse Management, Transport Management, Business Intelligence, ePOS and more specifically for the wholesaler, distributor, retailer and merchant sectors. The acquisition supports the company’s strategy of continued growth and follows three other acquisitions during the last 18 months including 2 in USA and another previously in South Africa. Like Kerridge Commercial Systems, IQ Retail has been delivering Retail and ERP Solutions for more than 30 years. The company’s suite of products, currently the leading Retail POS solution in South Africa, is distributed via a channel of 160 business partners. On completion of the acquisition, the KCS operation will provide solutions to 13,000 customers and 100,000 users in Southern Africa, KCS becomes the region’s leading provider of software solutions to this sector. IQ Retail will continue to maintain and support its existing solutions and, in time, will introduce new benefits to its customers from the KCS portfolio such as advanced e-commerce and Cloud services along with an optional upgrade path to the established suite of KCS services and products. To further support existing customers of its K8 ERP system, KCS will look at integrating some of the solutions from the IQ Retail suite. Ian Bendelow, KCS Group CEO, said, “As the second key strategic acquisition in Africa, this further strengthens our presence on the African continent, expands our service capabilities and product offerings. As we further our platform for growth, IQ Retail affirms and aligns with our on-going business strategy of focusing on the needs of retailers, merchants, wholesalers and distributors. Our customers will benefit from an even stronger South African based team to support our customer’s needs. As Group Managing Director for KCS in Africa, Des Nangle will support IQ Retail Directors, Michael Reyneke and Chris Steyn - and their team, to ensure the benefits of being part of the larger group are available to all customers. "18 years later K8 is in widespread use at trade counters, and I still see it offering new and enhanced features that will help both our companies continue to grow." Tileflair has grown from a single branch business, established in 1972 and trading from a high street location, to the largest, privately owned wall and floor tile distributor in the South of England. The company operates a flagship store in Bristol plus nine other showrooms and two warehouses across south of England. "Our sales team find it smooth and simple to use and it quickly becomes second nature to new staff. They can find products on the system quickly, what customers have ordered in the past - and from what batch - as everything gets recorded in the system." European Heritage is a family business specialising in the supply of natural stone, porcelain and ceramic tiles - plus associated building materials such as under-floor heating systems, grouts and adhesives. Most of the products sold are imported from Italy. "The major benefit of this process change was being able to speed up the receiving process and get the goods on the shelves and ready for selling faster." Pennypinchers, a division of Steinbuild, has been a customer of Kerridge Commercial Systems (KCS) for more than 20 years and uses K8 software throughout its branch network across South Africa and Namibia. "At the time we needed to upgrade from our existing system to bring about a change of culture and Kerridge Commercial Systems offered the best solution. Since then it has come on in leaps and bounds and we have continued to upgrade to the latest version each time a stable version is cut"
The company was established in 1984, since when its philosophy has always been to offer high quality customer service backed up with good stock availability and an efficient delivery service. Today the company employs 280 people and trades from 25 locations across the South East. "Due to all our testing, the great team I had at Tilespace as well as Kerridge Commercial Systems (KCS), we had a very smooth Go-Live with almost zero issues." Tilespace has been a customer of KCS since 2010. They have two branches. Tilespace offers an unrivalled selection of exclusive, imported brands specialising in tiles, sanitary ware, taps andfittings. They recently upgraded from K8.07 to Babbage. "The whole process went very smoothly. We handed the old system over on Saturday lunchtime and Kerridge Commercial Systems delivered the upgraded version on Sunday. The whole experience was simple, painless and positive!" The Lawsons Group operates 17 branches across London and the South East. The family owned company specialises in the supply of building materials, timber and loft conversion products. Jeremy Norris, Commercial Director, has been with the group for 22 years. To find why Lawsons decided to upgrade their K8 software, read the full success story. "K8 is an intrinsic, strategic component of our business. It does what we want it to do and what it says it will do - which is not always the case with software." Howarth Timber is a timber and building materials merchant operation. Its 29 sites are spread along the M62, down the A1 corridor as far south as Corby, and within the M25. There are approximately 1000 employees. MyLife Bathrooms - ready to move up to K8! MyLife Bathrooms will be using K8 software to power its bathroom distribution business, based in Newry, County Down. The basic accounting system the company was using was not providing the levels of functionality and reporting the team needed. With the imminent opening of a new warehouse in Scotland to facilitate next day delivery for the company’s Scottish retailer customers, it was time to move to a more sophisticated solution. What are B2B mobile responsive websites and why are they important to you? A mobile responsive website is one that is designed to work just as well whether it is viewed on a PC or laptop, tablet, mobile phone or other device; either the layout or the content or both respond and adapt based on the size and orientation of screen on which they are presented to the viewer. Does your software track your rebates? 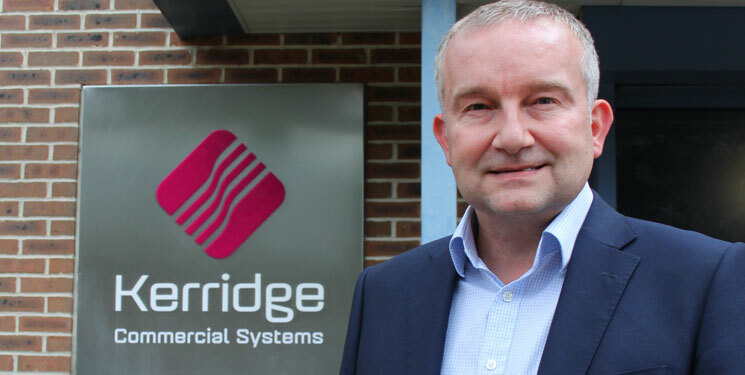 As featured in January’s issues of Builders' Merchants News and Professional Builders Merchant magazines, Mark Steggall, Head of Product Management at Kerridge Commercial Systems, explains the benefits of using a modern ERP system to manage supplier rebates. Sterling has depreciated against the US dollar and the Euro since the referendum in June, hitting a 31 year low against the dollar in October. At time of writing, the exchange rate had climbed following hints from Theresa May that she will be looking for a transitional Brexit deal that will favour British businesses. However sterling is still comparatively weak, which presents some challenges for merchants and distributors. For example, the price of imported construction materials is predicted to increase by 3%. It also means that inflation may increase, which adds to the uncertainty we are facing. But challenging times also present opportunities. Here are five things that merchants and distributors can do to mitigate against, and even benefit from, the economic situation. CARY, NC – December 2016 – Dancik International, a Kerridge Commerical Systems (KCS) Company, announced today that Galleher has selected K8 with Web Builder in the K-Cloud to support their strategic vision for substantial growth of their floor covering and supply business. Founded in 1937, Galleher is the oldest floor covering distributor in Southern California with 21 locations in three states and over 325 employees. The Company is ranked among the top 5-flooring distributors in the US and is the frequent recipient of recognition from suppliers and industry associations as a thought leader and ideal partner. The Company’s dedicated employees command years of professional experience and the latest business technologies to focus on excellence in service, relationships, and value. The Company follows the values that guided Galleher in its early years. Trust, honesty and doing the right thing for the customer have secured a legacy that will last long into the future. November 2016 - Kerridge Commercial Systems (KCS) a global company headquartered in the UK has reached an agreement to acquire Integrity Software, based in Johannesburg, South Africa, and its successful suite of products. This acquisition is a key strategic investment for KCS in South Africa and a positive development for Integrity Software. KCS has acquired Integrity Software as part of our on-going plans to grow and provide market leading ERP and business management solutions to the distribution markets across the world. With Integrity Software, we add further solutions and expertise for our core market focus of the Distributive Trades and specifically strengthen our offering for the retail orientated Distributive trades. Furthermore, we can now offer our South African customers a payroll and HRIS solution. The companies will form one of the strongest ERP providers focused on the particular needs of the distributive and retail trades in Southern Africa. KCS is the market-leading and award-winning provider of solutions with over 1100 distributive trade customers worldwide, focusing on wholesaler, distributor, retailer and merchant sectors. In parallel, Integrity Software has a 20-year history of delivering Retail and ERP solutions to the retail and distributive trades with a similar customer profile to that of KCS. The acquisition supports the KCS strategy of continued growth through focusing on our specific area of expertise i.e. solutions for businesses that need to Source Effectively, Stock Efficiently, Sell Profitably and Service Competitively. The acquisition of Integrity Software by KCS follows the successful acquisitions of Dancik International in July 2015, and Mincron in June 2016, both in North America. Integrity Software will continue to maintain and support the existing Integrity Software solutions and in time will introduce new benefits to their customers from the KCS portfolio such as advanced e-commerce, mobile commerce, and Cloud services as part of an optional upgrade path and optional added functionality. Equally, KCS will introduce modules from the Integrity Software suite to their existing K8 ERP system such as Payroll Solutions to further support their existing customers. As Managing Director for the KCS Group in Africa, Des Nangle will support Greg and the team and help to ensure that benefits of being part of the larger group are available to all our customers. For more information, please visit www.kerridgecs.co.za or contact marketing@K8.co.za. Kerridge Commercial Systems (KCS) provides specialist software, services and support to deliver fully integrated trading and business management solutions to distributive trades customers, large and small – wherever they are in the world. Immersed in the distributive trades for 40 years, our technical experts are thought leaders in trading and management technology, and our innovative and flexible approach ensures our customers partner with us for the long-term. It may seem that the Christmas period offers marketing opportunities primarily for retailers with consumer customers; people don’t tend to buy building, industrial or automotive supplies as Christmas presents. However there are seasonal opportunities for merchants, distributors and wholesalers too, and especially for those with a B2B ecommerce solution. We know that these days B2B buyers expect the same levels of customer service and convenience as consumers; this means that there are opportunities to apply consumer marketing to B2B customers. There are a number of key ecommerce days over the festive period, traditionally used by retailers, which firms in the distributive trades can adopt to their advantage. K8 software has been chosen by one of the UK’s fastest growing decorators’ merchants as it expands into new premises and develops its online presence. James Taylor went to work in his parents’ wallpaper shop when he was 18 and immediately became hooked on buying and selling – particularly paint. He began targeting decorators with sales of trade paint that allowed the business to grow exponentially and move into much larger premises - that remain the company’s head office in South London. James is now the owner of the business that began trading as London Decorators Merchants in 2010. Since then, turnover has more than trebled and the company operates five branches and a successful wholesale company. James also believes he’ll be able to reduce his stock holding through K8’s efficient purchase ordering and that he’ll save resources and mistakes by only having one system for staff to learn. K8 can be delivered through a variety of options including low cost Saas (Software as a Service) where the customer rents the software (rather than purchasing a one-off perpetual licence) and accesses it over the internet. Alternatively companies can deploy the software, as LDM will be doing, on their own server. We are delighted to be sponsoring the Hungerford Victorian Extravaganza for the 3rd year running. On the 9th December, local dignitaries will turn back the clock to the 1800’s and celebrate the 24th Annual Hungerford Victorian Extravaganza. The evening will open at 5pm with music from the Hungerford Town Band and the Scottish Pipe Band. The High Street will be busy with Victorian organs, steam engines, and a variety of themed stalls. Many people will be in Victorian Dress. At 7.00pm the Grand Parade starts in Bridge Street followed by fire-works at the three Swans Hotel. K8 ePOD software allows your drivers to manage deliveries remotely. Once load planning has been completed within K8, the full manifest may be exported to the drivers HHT and they will be guided to each delivery in turn. Read our blog post - What is delivery management software? With full capability to confirm and amend deliveries, fail drops, capture images and a range of other sophisticated features, the driver can capture signatures and automatically complete deliveries. A signed POD is also stored within K8. Find out more about how our K8 software can help your business. Either contact us or request a brochure via the button below. HOUSTON, Texas — Mincron is excited to announce that one of our newest customers, Midwest Refrigeration Supply Company, has successfully gone live on SmartDistributor 12.1. Midwest Refrigeration is a fourth-generation family owned business that has proudly served HVAC/R contactors since 1945. In addition to distributing commercial refrigeration and HVAC products, they provide in-house engineering services and rental tools. Headquartered in Traverse City, Mich., Midwest Refrigeration also has two locations in Michigan’s Upper Peninsula; they plan to add more locations in Northern Michigan in the future. Midwest Refrigeration’s leadership believes their new ERP system will help them achieve their strategic long-term goals of growth, streamlining inventory and improving productivity. What are the advantages of SaaS software for merchants? As featured in October's issues of Builders' Merchants News and Professional Builders Merchant magazines. Tony Pey, Head of Sales Engineering at Kerridge Commercial Systems (KCS), defines the advantages of SaaS and explains how it could work for your merchant business. "What also appealed to me about using K8 was how we could access the software via the cloud..."
Paul Branch, the owner of Abbeygate Tiles & Bathrooms in Bury St. Edmunds, is looking forward to Kerridge Commercial Systems (KCS) looking after his IT in the future - so he can get on and run his business! Abbeygate Tiles & Bathrooms is an independent tile and bathroom retailer, operating from a busy retail park. A family company, Paul’s sister and son both work in the business that was established in 1986. The company serves a mix of trade and retail customers who come from across Suffolk, Norfolk and Cambridgeshire. According to Paul, it’s the combination of very high quality service and his extensive product range that differentiates Abbeygate from the local competition. One of Paul’s biggest suppliers also uses K8 and they had recommended he take a look at the system. He was also reassured by the fact that K8 was used extensively in the tile supply industry and he liked the idea of using a system that was designed to manage his type of business. K8 is a fully integrated trading and business management solution that can be delivered to customers via a variety of traditional or cloud based options. It combines a suite of modules designed to manage sales order processing, purchasing, stock control, CRM, E-Commerce and business intelligence. Plus, Abbeygate will be able to dispense with their Sage package once K8 is installed as its integrated financial suite means there’s no need to use any other accounting software. CARY, NC – Oct 14, 2016 - Dancik International, provider of integrated software solutions focused on servicing the building materials, lumber, floor coverings, home décor, electrical and plumbing distribution, wholesale and retail markets, announced today that Tierra Sol, recently acquired by GESCO (also owner of Shnier) has fully integrated with Dancik Navigator (DNav), to help support their strategic vision for substantial growth of their floor covering distribution business. Tierra Sol, founded in 1979, is a leading Western Canadian and U.S. Pacific Northwest based ceramics and stone distribution company. The company sources globally while servicing locally, from each of four facilities located in Seattle Washington, Vancouver BC, Calgary and Edmonton AB. Tierra Sol's customers include those in the retail, commercial and builder related channels. Tierra Sol will become the second major operating division of GESCO, a privately held national floor covering distribution company. GESCO other operating division which is well known to the floor covering industry is Shnier. Shnier is a leading national provider of globally sourced products, value-add marketing and merchandising programs and finance, logistics & IT services. The company serves over 3,000 customers in retail, commercial and builder based markets, from each of five distribution facilities coast to coast within Canada. Tierra Sol went live with DNav approximately six months from the point of acquisition by Shnier, “The Dancik team have been very professional & integral with the level of support and intellect they have provided us. This is a project that can take upwards of 9, 12 or 18 months, and with their assistance, we went live in a record time of 5 months which was in large part because of them.” said Doug Wilcox, Vice President of Supply Chain, Logistics & IT, GESCO. “Dancik will help to further integrate, build and support the Tierra Sol Brand. Implementation of DNAV will benefit our customers, suppliers, and employees, to further support accelerated growth in the Canadian and US marketplace,” said Ed duDomaine, President & CEO, GESCO. Alan Cross, Kerridge Commercial Systems (KCS) Executive Vice President North America, stated “The Dancik team were delighted to support the GESCO acquisition integration team at GESCO. All parties worked extremely closely and diligently to ensure an on-time go live of the Dancik DNav software, and I am confident that Tierra Sol will be hugely successful as part of the GESCO family”. *Dancik International is a Kerridge Commercial Systems (KCS) Group company. CARY, NC – October 2016 - Dancik International, provider of integrated software solutions focused on servicing the building materials, lumber, floor coverings, home décor, electrical and plumbing distribution, wholesale and retail markets, announced today that Spartan Surfaces, Inc., one of the leading commercial flooring distribution and consulting companies in the United States, went live on Dancik Navigator in August subsequent to an accelerated implementation process. Spartan required rapid implementation and custom modifications to support their high growth. Spartan took advantage of the option to access Dancik Navigator in the Cloud, greatly reducing the time required to select and install on-premises equipment. Dancik Navigator is a fully integrated business management solution designed specifically for flooring retailers, manufacturers and distributors. Sales processing, mobile data access, inventory management, business intelligence, and accounting are easy to use and fully integrated. Navigator’s modern architecture, cloud availability and mobile sales applications resonated with Spartan as they initially selected Dancik however, Spartan did require several significant custom modifications and these were delivered by the Dancik team ahead of the go-live date. Spartan will leverage the Dancik system and services as they increase their competitive advantage throughout the United States in the commercial flooring marketplace. *Dancik International is part of the Kerridge Commercial Systems (KCS) Group of companies. HOUSTON, Texas — Putnam Pipe, an independent and locally owned company serving the water, sewer and storm water industries since 1985, recently signed a contract with Mincron executives to convert to the Mincron SmartDistributor™ core ERP solution. Putnam, a Mincron customer since 2010, has locations in Hopkinton and Taunton, Mass. President David Putnam credits the combination of his team’s experience and long-term dedication to customer service for the company’s three decades of successful operations. Putnam’s father, Elliot Putnam, founded the company after a multi-decade career in the water and sewer utility industries. His goals were to build a business based on the principals of integrity, service and fair competition that would offer competitive pricing, product knowledge and outstanding service. David Putnam came on board in 1986, focusing on municipal and contractor sales. He continually grew his knowledge of the business and when his father retired in 2003, David succeeded to the position of President. In addition to extensive employee knowledge and strong relationships, Putnam has capitalized on the use of the most modern technology available. After upgrading to Mincron Release 12.1, Putnam decided to take the next step and convert to SmartDistributor, as well as become a subscriber of Mincron’s new SmartCubes frequent update program, to stay current with the latest technology available. Putnam users will participate in a four-hour training session with Mincron staff. The transition is a fairly simple one, with most of it centered on the differences users will experience in navigation. SmartDistributor is a complete distribution management system for customers ranging from multi-national corporations to single-location, locally owned businesses. It is tailored to meet our customers’ specific needs and easily adapt as your business grows and changes. SmartDistributor basically serves as a wholesaler’s command center, giving you the tools needed to most effectively manage, monitor and analyze all aspects of your business. Those capabilities maximize efficiency and productivity — and ultimately profitability. It is a Windows-based solution with easy point-and-click navigation and workbench-like design for users, and has an Executive Dashboard that provides immediate accessibility to critical, real-time state-of-your-business data for key management. Mincron’s highly experienced team thrives on developing new, more efficient methods for distributor perform routine tasks. These innovations give our customers new avenues for economic growth and competitive strategies for your company’s future. Our staff operates with a “Service First” philosophy toward customers that begins in the initial planning stages and continues throughout our partnership. Customers are not just a number at Mincron. When you need support, 24/7/365, you’ll be dialing our Houston headquarters, and will speak with someone who knows you and your business. Their response time to your issue can be measured in minutes or hours — not days or weeks. We also listen. Much of our new product development is done as the result of customer roundtables or special requests. That’s why we’re proud to say that Mincron is Distributor Driven, by Design. As featured in this September's issue of Professional Builders Merchant magazine, Tony Pey, Head of Sales Engineering at Kerridge Commercial Systems (KCS), explains how using multi-channel ecommerce software that is fully integrated with your ERP system delivers a more satisfying experience for your customers and makes life easier for your staff. Established in 1977, UK Roofing & Plastic Supplies is a leading independent supplier of roofing materials, building plastics and tools. Based in Slough, the company prides itself on being able to supply everything its trade customers need – from the eaves upwards. UK Roofing is an approved trader within Slough Borough Council’s ‘Buy with Confidence’ scheme. This means they have undergone a stringent vetting procedure and are promoted by the council as ‘a good, honest local business’. Before deciding to implement K8 software, the UK Roofing team was using a system that was limited to invoice generation and stock management. Managing Director and owner, Neil Price and Branch Director, Graham Gerrans, had both worked with a more sophisticated system at a previous company and felt it was time to investigate integrated systems that could also handle their purchasing, accounting and reporting. Graham looked at a number of systems and came to the conclusion that K8 was the most beneficial for UK Roofing as it was a tried and tested solution within the roofing industry and is designed primarily for use by distributors and merchants operating within the construction industry. K8 is a fully integrated trading and business management solution already used widely by all types and sizes of companies in the roofing supply industry. It combines a suite of modules designed to manage sales order processing, purchasing, finance, stock control, CRM, E-Commerce and business intelligence. K8 is developed, provided and supported by UK-based Kerridge Commercial Systems. "The main benefit of using K8 is that I always know where we are – all the business information I need is at my fingertips. I really can’t fault it." Barlow’s Woodyard specialises in supplying high quality timber products. Its branches in Newbury and Witney stock a huge range of fencing, gates, decking and garden features, many of which are machined or manufactured in the company’s own workshops. Hyper Paint opened their first branch in Ophirton, Johannesburg in the early 1980’s. Since then they have grown from strength to strength, currently, supplying customers through six branches in and around Johannesburg. They are the largest independent Dulux Paint reseller in South Africa, providing advice, paint and paint supplies to DIY customers as well as many of the leading contractors in the province. Their motto is “Good Service is Good Business,” and great customer service and the speed of the sale and delivery is key to their on-going success. When Hyper Paint started doing research on ERP systems for the distributive industries, and in speaking to some of their suppliers, they realised that K8 should be on their shortlist of system providers. Mr Jade Peter made an enquiry, requesting a K8 demonstration, where K8’s extensive paint and multi-branch functionality was shown. K8 was weighed up against various solutions; some much cheaper than K8. However, in the end they chose K8. Hyper Paint is currently using a manual system for cash customers and a legacy system for account sales. It is very difficult for them to have accurate stock management and visibility of stock across a network of 6 branches. Their growth strategy is also limited by the lack of integration of their current processes. Control over all areas of the business as well as an integrated system with point of sale functionality was key to their decision. Additionally, they needed a software solution that could service and supply their customers at the same speed as their manual processes. Because the K8 system will be hosted in the cloud and centrally accessible form all branches and head-office, Hyper Paint staff and management will have live sales data that can be easily consolidated to give an accurate view of the status of all aspects of the trade and finance areas of the business. Hyper Paint signed up for a SAAS solution, hosted in the cloud at the Kerridge Commercial Systems (KCS) data centre and will be going live on the latest version of the K8 Babbage software. Tiaan Grobbelaar Sales Manager of KCS, commented: “We are pleased that Hyper Paint selected us as their ERP provider. Replacing a system, especially one that is part manual, will not be an easy change to make. However, KCS’s industry knowledge, combined with a great solution - K8 for the distributive trades, will make the transition easier. CARY, NC – Aug 2016 – Dancik International, provider of integrated software solutions focused on servicing the building materials, lumber, floor coverings, home décor, electrical and plumbing distribution, wholesale and retail markets, announced today that Professional Flooring Supply has selected K8 with Web Builder in the K-Cloud to support their strategic vision for substantial growth of their building and flooring supply business. Professional Flooring Supply was founded in 1977 in Fort Worth, Texas. Their commitment to providing construction professionals with the finest selection of flooring installation tools and building materials is unparalleled in the region. Professional Flooring Supply’s footprint covers Arkansas, Colorado, Idaho, Louisiana, Oklahoma, Texas, and Utah. Professional Flooring Supply is in rapid growth mode and will be expanding over the next few years. Deploying K8 is a vital component in support of their expansion goal of 30 branch locations by 2020. They believed K8 to be far ahead of the other ERP solutions they evaluated. For more information on Professional Flooring Supply visit: www.professionalflooring.com. Established in 1983 as a power tool repairer, Johannesburgbased SA Tool are agents and distributors for many leading brands of power tools and personal protective equipment. SA tool signed up with Kerridge Commercial Systems (KCS) for K8 ERP in 2011, the past 5 years SA Tool has grown substantially and have benefited greatly from the K8 ERP system; improved stock management, elimination of manual processes and quality support are just a few of the benefits they have received from K8. In 2014 they moved from an on premise server to the KCS Cloud platform. SA Tool supply some of South Africa’s largest and most prestigious industrial and construction firms. Many of SA Tools customers have a requirement to call off on existing contracts, as well as get accounts information like statements at the push of a button. K8 Web Builder’s integrated customer portal and web store allows SA Tool’s customers the freedom to order, review and pay at their convenience. SA Tool benefits due to the accuracy of electronic data and a lower staff cost due to the automation and integration. SA Tool chose K8 Web Builder for its online selling capabilities and integration to K8 and the fact that there is no third party upload into other software; K8 Web Builder is a live interface with the K8 ERP System. “The ability to maintain your own e-commerce website adds a lot of value, as business owners are not dependent on another company to make changes for them.” – Lawrence Grobbelaar, IT Manager SA Tool. Established in 1983 as a power tool repairer, Johannesburg based SA Tool are agents and distributors for many leading brands of power tools and personal protective equipment. In addition to importing products from renowned international suppliers, the company also has purchasing arrangements with major South African manufacturers. K8 Web Builder is a powerful, integrated eCommerce suite. It enables you to deploy a fully integrated internet trading platform quickly and effectively. With a comprehensive, intuitive content management system, K8 Web Builder is both functionally-rich and extremely flexible. IT provides a platform to increase the capacity of your existing resources and open up valuable new sales channels. Using real-time information, K8 Web Builder provides complete facilities for your customers to enquire and place orders on a self-service basis. Transactions are automatically fed back into K8 to maintain data and customer records - it’s both simple and straightforward, and with no repeat keying required. Without expensive and complex website developments, K8 Web Builder makes online trading for any type of business an easy to maintain and profitable service. By helping you to improve your customers’ buying experience, your competitive advantage is enhanced. Leading merchant software provider, Kerridge Commercial Systems (KCS), has appointed Andrew Wilkinson as European Sales Director, with an initial focus on the UK. Andrew, who has more than 20 years of sales experience in the distribution, merchant and manufacturing software industries, joins the Hungerford based company as it experiences a period of impressive organic and acquisitive growth. The KCS objective is to design systems and services to meet the business needs of all types and sizes of distributive company - and to work closely with them to ensure they get the very best from their investment in the software. K8 Babbage is the company’s current major software release. It can be delivered to customers via a range of flexible solutions to suit individual businesses, including the KCS Cloud or a SAAS (software as a service) model that delivers a known cost for budgeting and the seamless addition of new users and branches as the business grows. In addition to its UK operations in Hungerford, Bourne End and Newcastle, KCS also has major facilities serving customers in Ireland, Netherlands and South Africa. In 2015, the company opened offices in North Carolina and more recently acquired Texas based Mincron Software Systems. The KCS Group now has around 800 customers, serving 6,000 locations and 80,000 users across 18 countries. On Tuesday 21st June, our Director of R & D David Liddle and Account Manager Geoff Saunders attended Howden Joinery's golf day. 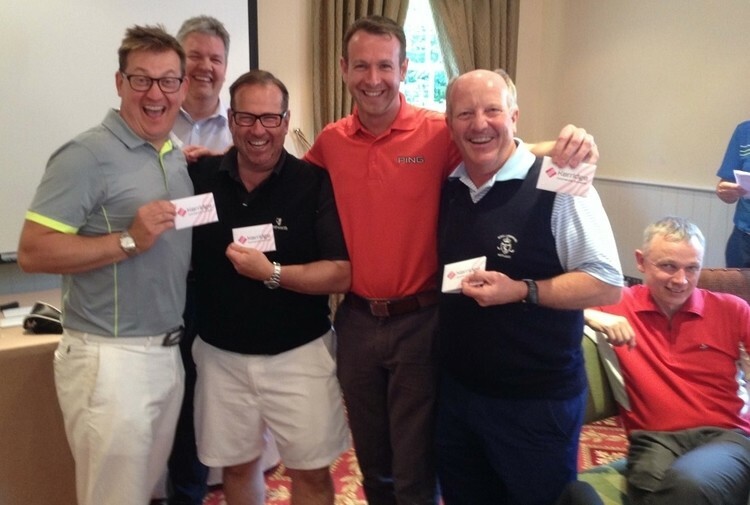 The event was for all the suppliers of Howdens and included breakfast, 18 holes of golf, a barbecue and a prize presentation in the evening. Some of the holes were particularly fun. On one you could only use 2 clubs, and on another you were only allowed to use a wedge and a putter. The eventual winners were the suppliers. CARY, NC – May 2016 – Dancik International provider of integrated software solutions focused on servicing the building materials, lumber, floor coverings, home décor, electrical and plumbing distribution, wholesale and retail markets announced today that BR Funsten & Co. have agreed to license K8 and Web Builder for up to 200 users to include professional services and hosting. Dancik is delighted that BR Funsten & Co. selected K8 to support their growing building supplies distribution business across the West Coast of the United States. BR Funsten & Co. serves as the parent company to both the Tom Duffy Company and Commercial Solutions and provides the most comprehensive group of products and services across all flooring channels. Founded in 1956, BR Funsten & Co. has grown into one of the ten largest flooring wholesalers in the nation. Since acquiring the Tom Duffy Company, the business has evolved from primarily a flooring distribution business to a leading building supplies distributor with 28 branches across California, Arizona, and Nevada. "K8 will provide us with the capability to continue to expand the business with the confidence that we have the right system and functionality to support our business objectives and enhance our customer service capacity. K8 was a clear choice for us," stated Anne Funsten, President of BR Funsten & Co.
Alan Cross, KCS Executive Vice President of North America, said, "We are a delighted that BR Funsten & Co. has selected K8. We have worked closely together to understand their business model and in turn, demonstrate the strength and depth of the software to meet their business goals." The project is expected to commence without delay with both BR Funsten & Co. and Dancik eager to move to the implementation phase. The Dancik project management team will be working closely with BR Funsten & Co. in the coming months to ensure a successful go-live. Dancik International provides integrated software solutions focused on servicing the building materials, lumber, floor coverings, home décor, electrical and plumbing distribution, wholesale and retail markets. Immersed in software delivery for over 35 years, their technical experts are thought leaders in business management solutions, and their innovative and flexible approach ensures long-term customer engagement. Dancik focuses on providing world class solutions for lumber, flooring, tile, plumbing, HVAC and building materials verticals. The Dancik team has one clear mission: to design and deliver high performance, integrated ERP solutions that enable dealer and distribution customers to source effectively, stock efficiently, sell profitably and service competitively. Dancik is part of the Kerridge Commercial Systems (KCS) Group of companies. 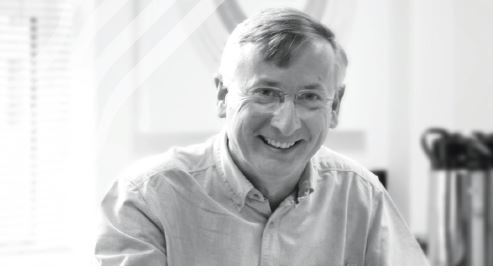 Ian Bendelow, chief executive officer, said: ”Although computer technology has progressed dramatically over the past 40 years and business needs have changed considerably, we have remained true to our company’s ethos. Focusing on the needs of our customers, we deliver quality solutions to address their business needs and technical innovation that adds real value to their bottom line. For our customers we bring consistency, stability, longevity and innovation. We are particularly proud to have established many long-term relationships and to have seen our customers develop and prosper. Those long term relationships, many of whom have been with us for 10, 20 and more than 30 years, really make a difference. Driven by entrepreneurial opportunities our customers are constantly innovating and it’s been our job to support those opportunities and also bring technology innovation. It is amazing to reflect on how 40 years of supporting distributors/wholesales and merchants has evolved”. In addition to UK operations in Hungerford, Bourne End and Newcastle, the company, which employees 400 staff, also has major facilities serving customers in Ireland, Netherlands and South Africa. In 2015, KCS expanded in to North America opening offices in North Carolina. The KCS Group now has around 800 customers, serving 6,000 locations and 80,000+ users in 18 countries. Join us for our free Automotive Open Day on 18th of May 2016 at Prested Hall in Colchester. We will be covering a number of topics, including document scanning, mobile working, warehouse control and much more. Kerridge Commercial Systems (KCS) will be attending the 2016 EW (Electrical Wholesaler) Awards on Thursday 12th May 2016 at the Park Plaza Roverbank in London. KCS provides K8, the integrated business management system specifically designed for the electrical distribution industry. Kerridge Commercial Systems (KCS) will be attending the TTA Awards on 14th May at St John’s Hotel and Conference Centre in Solihull. KCS provides K8, the market-leading trading and business management solution designed for the tile distribution industry. If you would like any additional information prior to the event, please contact marketing@kerridgecs.com. "I was impressed with the dedication and knowledge portrayed by the Kerridge Commercial Systems team." Kerridge Commercial Systems (KCS) is pleased to announce that Ark Trading Namibia is live on K8. Ark Trading was established in 1980, and is one of the oldest suppliers to the building trade in Windhoek, Namibia. "Our new website, with Web Builder, is a milestone initiative for BPX." As a OneOffice user, BPX decided that Web Builder, with integrated e-commerce and back-office capabilities, was the most effective platform for the project. Given the size of the company’s product range, it was clear that this would be a complex project for BPX. Tileflair’s initial need was for a system to handle inter-branch trading, to replace a previous system where processes were cumbersome. It was also looking for an IT partner that really understood the tile business. It opted for a distribution system, rather than an EPOS product, and Kerridge Commercial Systems was chosen from five short-listed suppliers. The system went live in December 1998 and, in 2007, Tileflair upgraded to K8. Then, in May 2015, it upgraded to the system’s latest version. This week’s Kerridge Commercial Systems (KCS) Tile & KBB Business Insight event proved a big hit with guests, who gained valuable insight into how to prosper in today’s digital age. Speakers included Phil Crowshaw from The Geeky Group; Tileflair’s Matthew Johnson and Kay Porter, from The Tile Association (TTA). Mike Beech and Paula Hayter from KCS also kicked-off and concluded the agenda, before a lively QA session that continued into lunch. Phil Crowshaw’s presentation included essential advice on how to be found on the web, with a focus on good content marketing that “cuts through the noise.” Matthew Johnson also shared his own experiences and his plans on how to stay ahead - with help from KCS. “We’re delighted with the feedback received from those that attended – and thank our guests and speakers for joining us in Leamington Spa. We’re hoping to schedule further free Business Insight events later this year and would love to receive feedback on what guests would like to hear – and from those who’d like to share their own digital experiences,” commented Mike Beech, KCS product marketing director. Electro Tech has been in operation since 1989, and is a wholesaler of quality electrical products. Their head office is based in Windhoek with branches in Prosperita, and Swakopmund. Read more to find out why Electro Tech chose Kerridge Commercial Systems.